About Badin . . . Follow a North Carolina Scenic Byway as it curls under Morrow Mountain, winds through the lush fields of Valley Drive and drops gently into Badin. 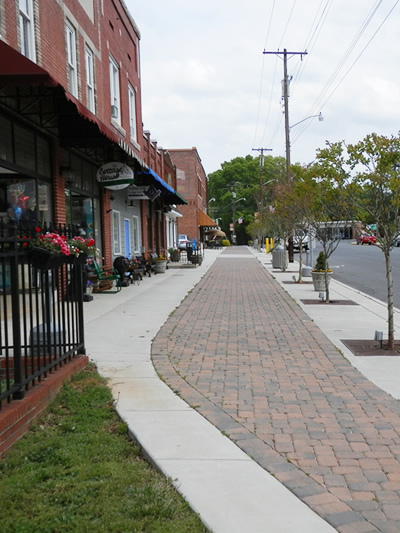 On the National Register of Historic Places, this village in northeastern Stanly County offers the visitor a pleasant pause in a quaint setting. Drop in at the Town Hall for a map of the area or a booklet on the history of the town. Grab your camera and take a walk around the village, down narrow lanes, past old French Colonial houses with their little entry bridges over rock-lined storm drains. Wander up through the pines to the golf course for lunch at the pub. Stroll back to the southern end of Badin Lake to the boat landing and the beaches. Have a swim before you spread your picnic on a grassy slope beside the water, or settle at one of the many tables scattered beneath the trees. Drop a line in the lake and wait for that big fish to bite. You won't be the only one. Herons and seagulls and an occasional bald eagle fish here. Launch your boat and sail across the wide expanses of the lake. Land on a deserted island. 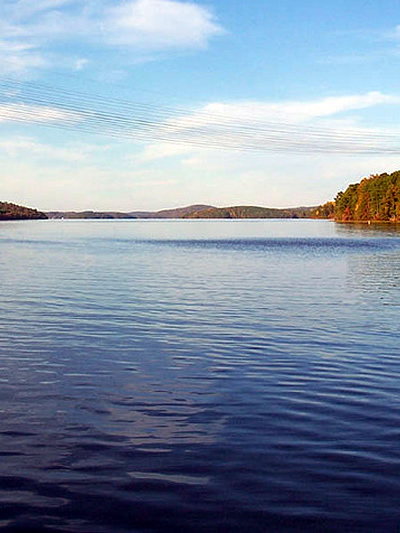 Take a look at Uwharrie Point with its plush lakefront homes and championship golf course. 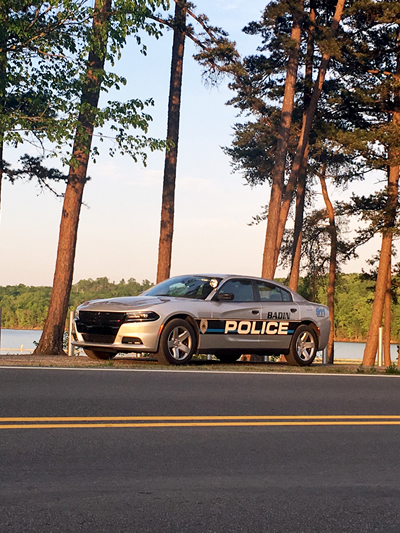 Sail back to Badin for a long cold drink and a chat with the locals before you head back to explore along the growing network of North Carolina Scenic Byways. In the Spring of 1913, a French company, L'Aluminium Français, began work on a dam at the narrows of the Yadkin River--it becomes the Pee Dee River a few miles downstream--to provide power for a smelter. A town to house the company's workers was to be built beside the newly-formed lake and named for company president, Adrien Badin. 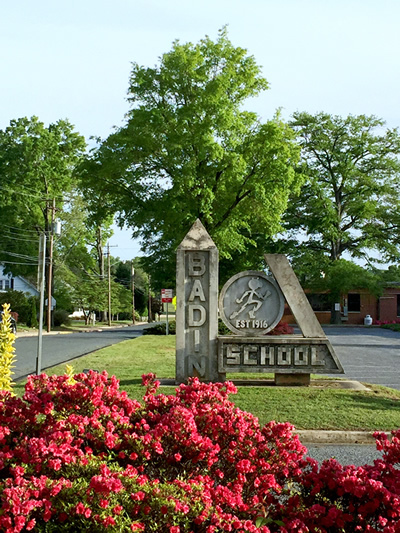 After the outbreak of World War I, the company's credit lines were redirected toward the war effort, ending the construction project at Badin. The Mellon Company of Pittsburgh, Pennsylvania, with its aluminum monopoly, the Aluminum Company of America (ALCOA), bought the half-finished company town in November, 1915. The French had completed a few plant buildings, a clubhouse for single male employees and visitors, a plant manager's residence, and single family residences along Henderson Street. Work had begun on 150 apartments, but this was not resumed for three years. At this time, bungalows were built along Tallassee Street, cottages on Pine Street, and a women's annex added to the main clubhouse. 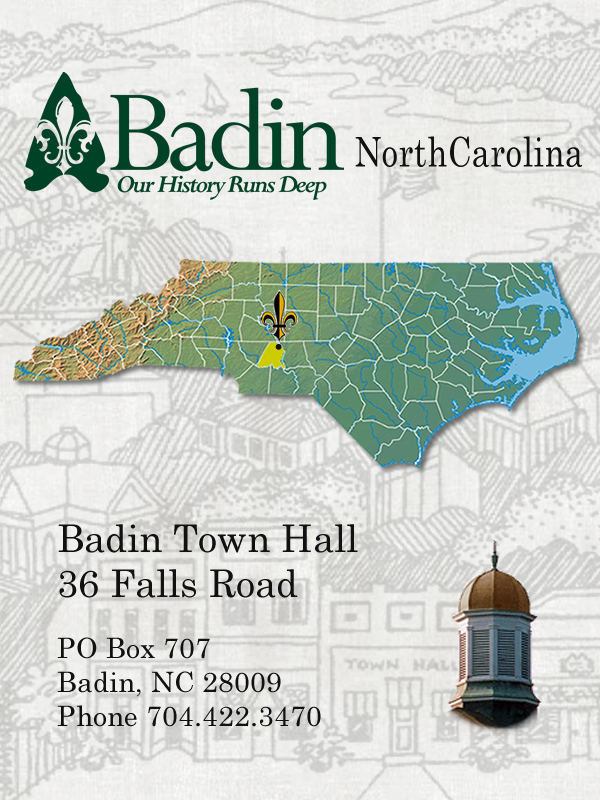 By 1917, Badin was a permanent settlement with a hospital, a 20-room school, a large theatre, and several brick commercial buildings. It was somewhat unusual in the state in that it offered housing and cultural facilities for black workers. 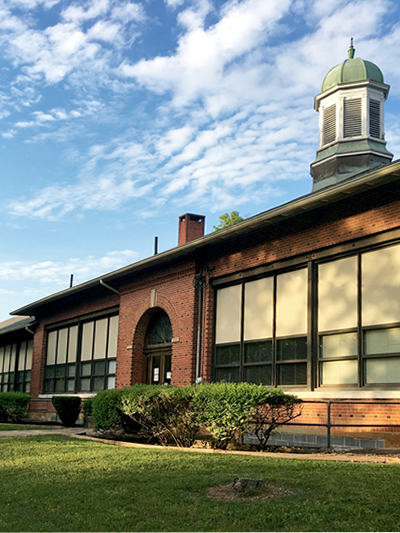 With the automobiles and improved roads of the 1920's, many Badin workers moved to larger towns and the population of Badin shrank from 5,000 in 1926 to just under 2,000 residents today. 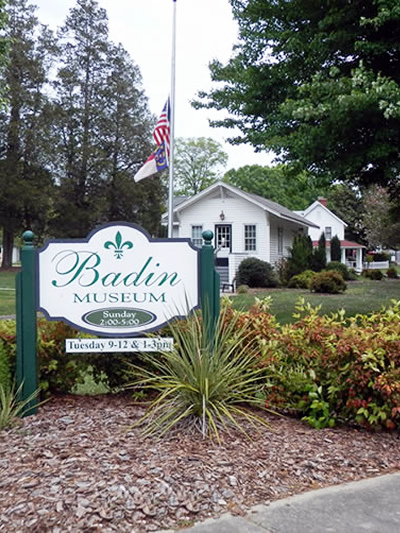 In 1983, Badin was placed on the National Register of Historic Places and in 1990, the town was incorporated. 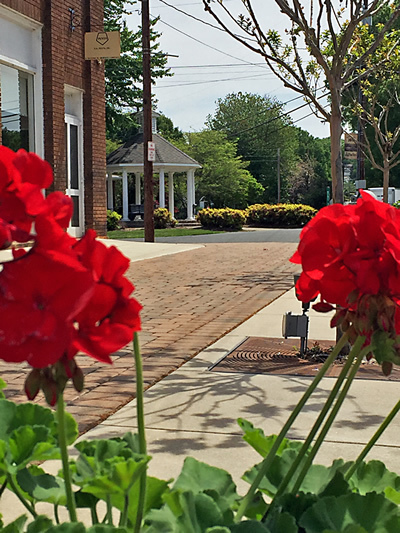 Today, this peaceful village with its picket fences and well-tended gardens provides a rare look at the characteristics common to many of the state's company towns with the added attraction of its unique French Colonial architecture. Text adapted from the Badin brochure.